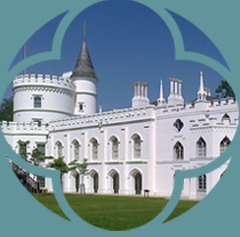 Our award winning Café occupies the ambient Great Cloister of Strawberry Hill House and enjoys glorious views across Horace Walpole’s 18th century naturalistic garden. Our fresh menu is seasonal and delicious where all ingredients are carefully chosen and we cater for all dietary needs. From tantalising lunches freshly prepared in our kitchen to our tempting home-baked cakes and cookies. Take advantage of our range of Teapigs teas, Drury coffee and refreshing juices and soft drinks. We offer Wine and champagne by the glass or the bottle and a selection of premium beers and ciders. The cafe is open all year round and welcomes every customer with a smile and warm greeting. It is very child friendly with the safe garden offering ample opportunity to burn off excess energy. 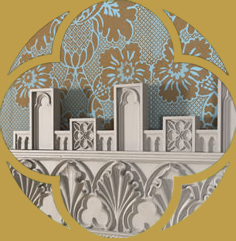 Come and enjoy all that we offer in the unique setting of Walpole’s Gothic castle! The café is typically open Sunday – Wednesday between 9.30am and 4pm. Last Orders at the cafe are at 3:30 pm. We offer a flexible approach to catering for your tour and can provide a variety of lunch and snack options to fit your budget. Please mention catering requirements to our tour coordinator when booking your tour by phone or email. Prior booking is required if you are looking to eat at the house with a group, as seating is limited and the café is typically open only during general opening hours. 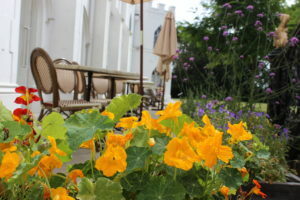 Strawberry Hill is equipped to cater for a wide variety of events, from drinks receptions to private dining.